What would an online Devil May Cry look like, anyway? Despite Devil May Cry remaining a traditionally single-player series, it looks there could potentially be multiplayer portions in Devil May Cry 5. Despite the fact that Capcom has said the contrary when speaking to GameSpot, noting that the team is "focused on delivering a complete single-player action experience," platform listings could have indeed given away the surprise. All game listings across the PlayStation Store, Xbox Store, and Steam denote an online multiplayer option that state it's for 2-3 players, and Steam lists co-op play. There isn't a definitive answer just yet about what we can expect, and the game isn't coming to all platforms until March 2019. However, it's important to note that while a co-op mode would make sense given the addition of characters Trish and Lady (and three playable characters), multiplayer just seems like a thoughtless addition. 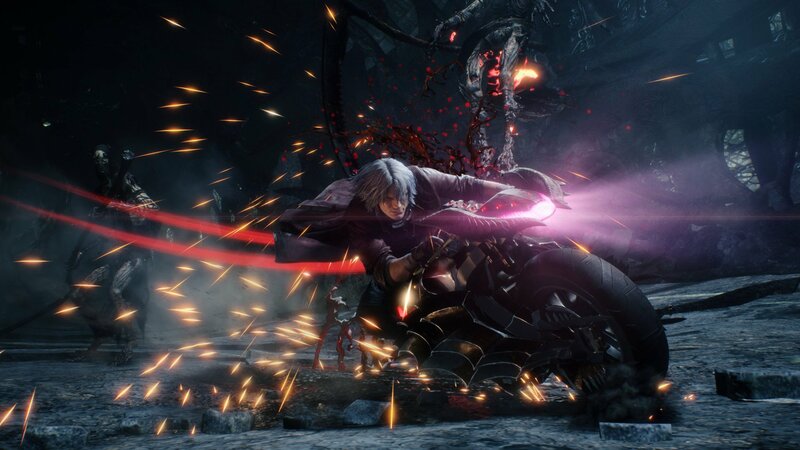 Devil May Cry 5 is a direct sequel to Devil May Cry 4 and has shown us a glimpse of a new vision of that game's star, Nero, who can utilize Devil Arms that vary in functionality, up to and including Mega Man's iconic buster if you preorder the game. Do you think Devil May Cry 5 really needs multiplayer? Are you excited to check out the game? Look for it on March 8, 2019 when it hits PlayStation 4, Xbox One, and PC.